In this lesson I'll show you how to switch the Campaign and Segments in a Donation Form. 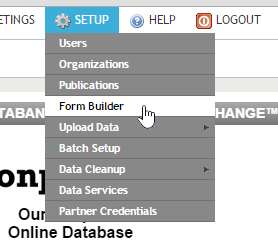 Start by going to SETUP ->Form Builder. Select the Form you wish to change. Click the Edit icon next to the Form. Go to the Contribution tab. Select the Campaign you wish to use. (1) Choose the Campaign you want to use for the form from the drop down menu. (2) Then click the Submit button. 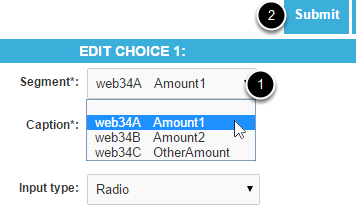 Click the Edit icon next to each contribution to choose the appropriate Segment. (1) Select the Segment from the drop down menu and (2) click the Submit button. Once you've selected a new Segment for each contribution and saved it you're done!